Donjon Marine Co., Inc. offers the marine community full-service solutions to meet your every need in the field of marine salvage, dredging, material recycling and related services. Founded in 1964 by Mr. J. Arnold Witte, Donjon's President and Chief Executive Officer, Donjon Marine's principal business activities were marine salvage, marine transportation, and related services. 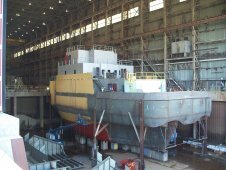 Today Donjon Marine is a true provider of multifaceted marine services. 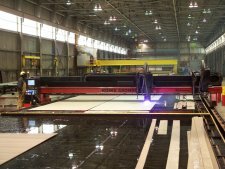 Donjon's controlled expansion into related businesses such as dredging, ferrous and non-ferrous recycling and heavy lift services are a natural progression, paralleling our record of solid technical and cost-effective performance. 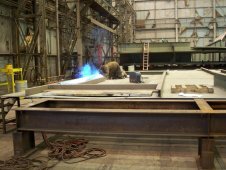 Since our founding, Donjon Marine continues to diversify in response to the ever-changing marine market, while at the same time building on its original focus of marine services. In the early 1980s, Donjon recognized the ever-growing importance of protecting the environment - both on sea and land. Accordingly, Donjon founded our sister companies: Clean Ventures, Inc. and Cycle Chem, Inc. These companies have since grown to become recognized leaders in the environmental industry with offices and facilities from Massachussetts to Maryland. By combining these strengths, Donjon offers comprehensive environmental marine solutions for any situation. Donjon's dredging division is a recognized leader in the specialized field of environmental dredging in the Northeast. Growing from its beginnings with a single dredge in the early 1990's, Donjon's dedicated dredging fleet, including environmental bucket dredges and one of the largest hydraulic excavator in the region, with dedicated tugs and four thousand cubic yard dumpscows, has grown to a size and capability unmatched in the New York area. For well over a decade, Donjon's dredging operations have dominated work in the region as a primary contractor for public entities, including but not limited to the United States Navy, the United States Army Corps of Engineers and the Port Authority of New York and New Jersey, as well as private projects. Whether it be emergency projects like the dredging of the basin for the Aircraft Carrier USS Intrepid, to historically sensitive dredging adjacent to a historic ferry boat off Ellis Island, Donjon's dredging division is up to the task and enjoys an unmatched success record in getting the job done. Continuing on into the 21st century, our focus remains on marine technology, developing new marine salvage, dredging and environmental programs while servicing our domestic and international accounts, one customer at a time. 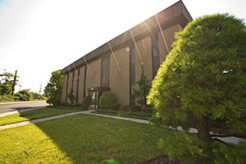 In February of 2009, Donjon Marine Co., Inc. completed the construction of its new office and warehouse facility located at 100 Central Avenue in Hillside, New Jersey. 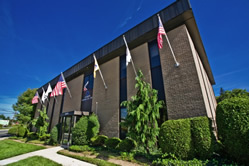 The move permitted the consolidation of Donjon staff from its original corporate office of over four decades at 1250 Liberty Avenue in Hillside, with additional personnel from other office locations. Donjon's corporate facility is located on over an acre of land containing office space, warehousing, parking and open recreational space. 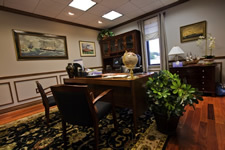 With new construction completed in 2009, the office facility encompasses 8,993 square feet. 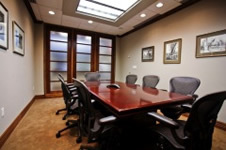 The space is configured with 24 individual offices and two dedicated conference rooms incorporating full internet access and high definition video monitors. 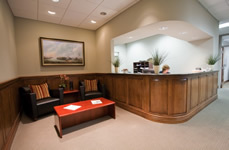 In addition to the regularly staffed offices, additional internet and telephone systems are hardwired into common locations throughout the building to accommodate an additional six office bays. In addition, Donjon's facility includes 7,250 square feet of heated and air conditioned two-story warehouse space, with two entrance bays able to accommodate tractor trailers. This warehouse facility accommodates equipment, materiel and archive file storage. The entire office and warehouse facility is covered by a 24-hour centrally monitored security system with motion, perimeter and audio detectors. Donjon is happy to remain in the Hillside community in its expanded space that employees can take comfort and pride in.